A beautiful light antique finish solid brass single wall light. 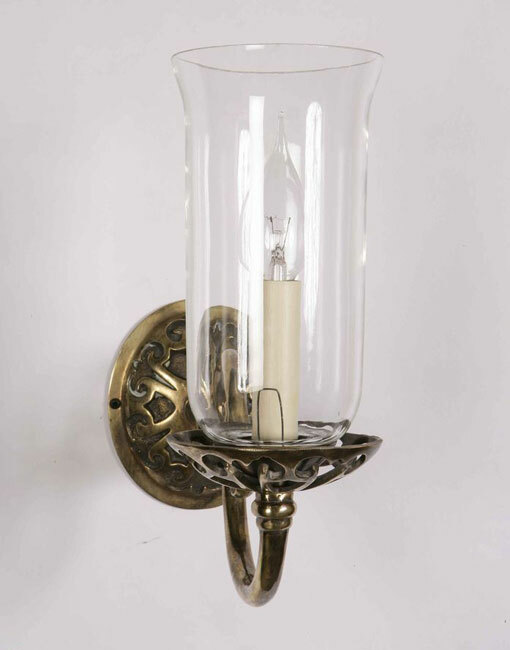 Highly detailed wall mount, with curved arm, detailed candle pan and handmade storm glass shade. Alternative shades are available if required. Each vintage wall light is handmade making ever one unique. As these are made to order, please allow 4 weeks for your delivery.